Now with the help of good Forex brokers available online, you can now trade very easily from your home also. This idea attracts many as it offers the Forex traders an opportunity to earn money while sitting at home. 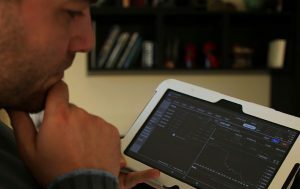 With the help of your Forex broker you will be able to make buying and selling decisions worth many dollars at one go. All this is very easy too, but you must also know the risks involved in it and also above that should know how to mitigate such risks. 1. Firstly open a Forex trading account with a good Forex broker and start with a demo account. This demo account allows you to practice various strategies of Forex trading. 2. Now pick any one currency pair so that you can focus on it as a starter. This will allow you to notice patterns and build your own strategies. So with the help of your strategies you will then be able to earn money. 3. You should do a proper money management in Forex trading as it forms the basics of Forex trading. 4. You must also learn how to use stop loss strategy. A stop loss strategy helps you to cut down your losses and minimizes your risk involved. 5. Now form your own style of trading depending on your focus as some people are aggressive than most others and hence your strategies will also vary depending on your style. 6. You must also learn to read “candles”. By “candles” we mean that these are real time price indicators and offer you an in depth analysis of the current prices.